open source projects to deliver the flexibility of open source and the confidence of commercial-grade software. You get better-maintained open source components. 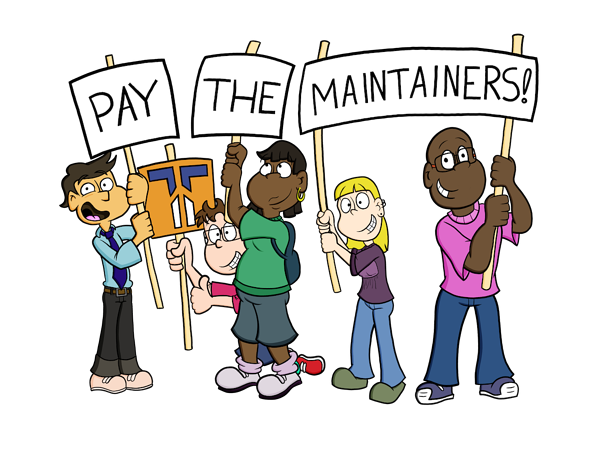 Maintainers get paid! manages your dependencies, including Fabric , for you. We provide the tools you need to continuously catalog and understand the open source software that your application depends on. We partner with and pay the open source community maintainers of the exact packages you use, to ensure they meet the standards you require. We address issues proactively, not only scanning for new security, licensing, and maintenance issues, but also working with our participating open source maintainers to resolve them on your behalf. We help you measure and improve your open source dependencies' health—which improves your app’s health—and give you a short list of high-impact steps your team can take to improve them even more. We add commercial assurances that don't come for free with open source packages, like intellectual property indemnification and support under a service level agreement. You expect these guarantees from proprietary software, and you should get them when using open source as well. The end result? All of the capabilities you expect from commercial-grade software, for the full breadth of open source you use. That means less time grappling with esoteric open source trivia, and more time building your own applications—and your business. 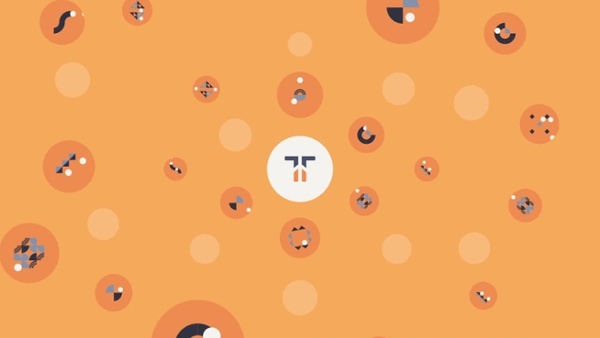 Ready to see how the Tidelift Subscription would look with your codebase? Fabric is a high level Python (2.7, 3.4+) library designed to execute shell commands remotely over SSH, yielding useful Python objects in return. It builds on top of Invoke (subprocess command execution and command-line features) and Paramiko (SSH protocol implementation), extending their APIs to complement one another and provide additional functionality. Single commands across multiple hosts (via varying methodologies: serial, parallel, etc). Python code blocks (functions/methods) targeted at individual connections. Fabric is available via the PyPI package manager. By paying the maintainers for their work, you help ensure they’ll have the time and motivation to keep their creations well maintained. And you just may make the world a little bit nicer place, too. Want a demo of the Tidelift Subscription? Want to increase development velocity and avoid unnecessary risk when using Fabric and other open source components? 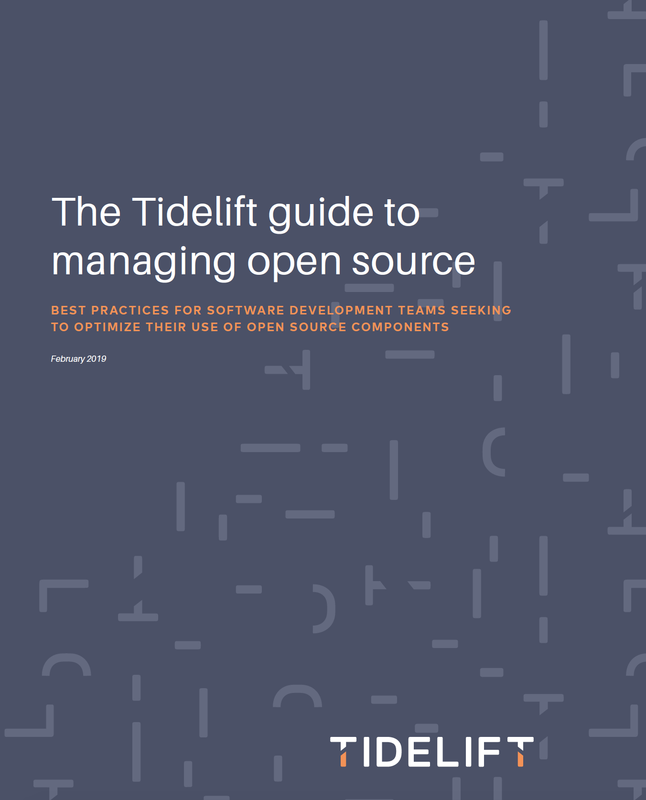 Tidelift can give your organization the flexibility to bring in open source components with the confidence that they are being maintained well. See for yourself—fill out the form to schedule a demonstration customized to your organization.